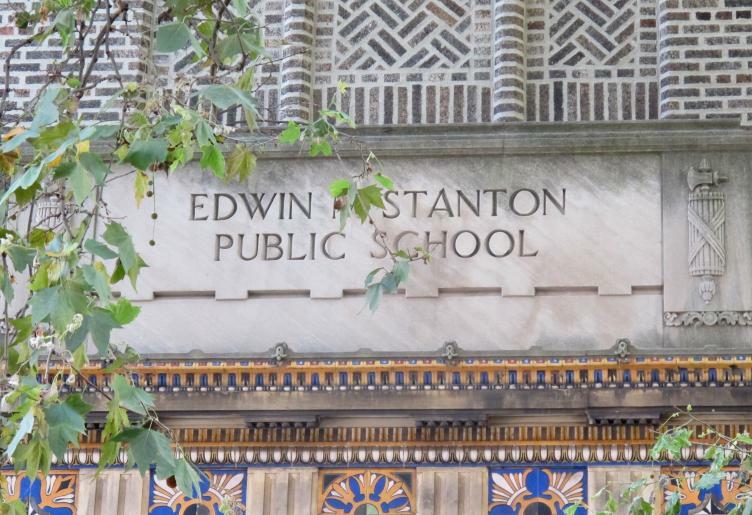 Making the unconventional choice to send our son to our neighborhood school, E.M. Stanton, not only benefited him and our family but also the extended school community. Choosing to send our oldest son Henry to our neighborhood school not only benefited him and our family but also the extended school community. My husband Mark and I learned recently that Henry has been accepted to Julia R. Masterman Middle School, a Philadelphia public school considered by many measures to be the best school in the state. His reaching this goal is a reflection of his academic interests as well as the result of an unconventional course that his father and I made. When Mark and I moved to the Graduate Hospital section of Philadelphia 10 years ago, I was five months pregnant with Henry. Before he was born, people told us that he had to go to private school, or at least one of the three public schools that were considered acceptable. But if you lived outside of their catchments, as we did, you had to know someone to get in or sell your merits to the principal and hope you were selected for a transfer. We heard stories of people using a business or family member’s address in the “right catchment” to get in. At times it felt hopeless. We were going to have to leave Philly. Then we started to get to know our neighborhood school, E.M. Stanton, at 17th and Christian, a predominantly African-American school, a good school with a supportive community and an vibrant spirit, or “a regular school for regular kids” as termed by parent James Wright (during a round table discussion in our library with then Secretary of Education Arne Duncan). Mark and I met teachers, students, families, and neighbors, like the immensely dedicated Vicki Ellis and Sue Kettel of Bainbridge House, who have helped support the school for decades. We went to inspiring performances, planted trees, and felt welcomed immediately despite being one of the few white families involved at the time. As a result, we became pretty passionate about urban public education. When the School Reform Commission attempted to close Stanton for a second time as part of a district wide cost-saving effort, we increased our involvement by attending rallies, speaking at SRC meetings, and mobilizing and expanding our partners. When the Supporters of Stanton prevailed, we transferred Henry from the strong but ill-fitting charter school he attended for kindergarten, and declined a coveted spot at Independence Charter School, to enroll him in first grade at Stanton with one of the most talented teachers I’ve ever met. Since Henry has been at Stanton, he has played violin, danced, done yoga and meditation, played chess, joined a Penn Lego robotics team (which competed in the regional finals last weekend at Irvine Auditorium), been elected class mayor in student government, helped design the soon-to-be new schoolyard, gone on an all-expenses-paid trip to Washington, D.C., experienced countless local field trips, taken classes at University of the Arts, competed in the Rendell Citizenship Challenge, tended a PHS award-winning garden, and made a culturally and socioeconomically diverse group of friends, two of whom speak English (beautifully) as a second language. We have all forged relationships with people we likely would never have crossed paths with if we had made the decision to leave the city. We have learned to value diversity by actually being part of it, and we believe our involvement in the community has likewise enhanced the experiences of Henry’s peers. We are proud of the person Henry has become. We are validated by his character as well as his academic achievement, and we know that Stanton has played a large role in both. We hope that our experience encourages others in our position to consider their neighborhood school as we did with Stanton — even if they aren’t on the “elite” list of Philly schools — with the confidence that their children can have an enriching educational experience. If more did, our public school “crisis” would disappear overnight to the benefit of all of our city’s students. While we’re thrilled for Henry to be moving on to Masterman, we’re also excited for the opportunity to be Stanton parents for at least another five years with our younger son Rhett, this time knowing that the unconventional courses can be the right one. Jill Scott is a licensed clinical social worker and secretary and founding member of Stanton Community Partners, a non-profit formed to provide independent financial support to E.M. Stanton Elementary School as well as enhance the visibility of and support for public schools in Philadelphia.